Just back from my first taste of the Brussels Beer Weekend, when the country’s brewers get together to offer their products in the Grand Place and parade through the streets. 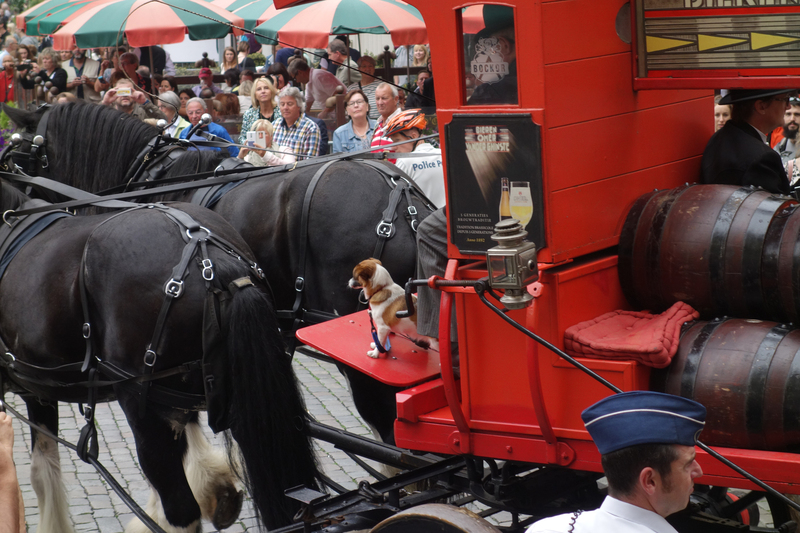 Wonderful spectacle, but admit I was surprised to see this little terrier-type on the Omer wagon, clearly having a good time. Came back from Brussels just in time to do a talk on brewery architecture at The Tetley in Leeds, was a very enjoyable evening, ending, of course, in their splendid bar.